The layer one infrastructure is the foundation for the operation and longevity of the Data Center, and it is where the core competency of Premiere Communications & Consulting shines the brightest. We take pride in helping our customers deal with the questions that arise at the foundation of their Data Center planning, and in helping them to avoid the pitfalls of a poorly thought out cabling infrastructure. Premiere has watched the evolution of transmission speed in the Data Hall from 100Mb to 100Gb over the last 15 years, and we understand the mitigation forces at play when it comes to the layer one support required to run these current and future speeds. Let us leverage our DCDC certifications and practical field experience in this space to ensure your organization is capable of supporting the mission critical functions that define your success. In following our philosophy of “no client, nor project is too large or small”: here are just a few of our more notable accomplishments in the Data Center environment. Cisco Systems: We have been involved in a multitude of Data Center and Lab projects on the RTP campus since the mid 1990’s. Buildings include RTP1, RTP2, RTP4, RTP7, RTP10, and RTP11, where projects have ranged in size from a small expansion build out of (5) rows of cabinets to a larger full deployment of 74,000 strands of fiber to support 40/100Gb in a standalone Data Center. Confidential Fortune 100 Financial Institution: We began our relationship with the mission critical team at this organization when they purchased an existing the GDC facility from another Institution. Since that time we have been involved in all aspects of expansion and build out of 3 separate Data Halls with in the facility. We have also been a design/build resource and aide in the implementation of the Center Core program here in RTP. In addition to RTP, we have also been tasked with the design and building of a new Data Center and Center Core project in Omaha, Nebraska. All of which carry the highest level or reliability and redundancy. 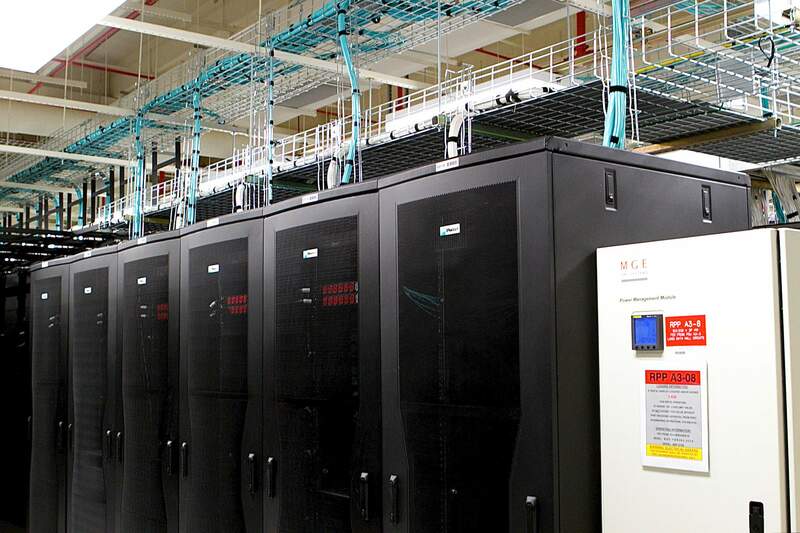 Net App: We have completed construction of their Data Center in RTP. This project included installation and termination of OSP cabling, building distribution and horizontal cabling, wireless access points, data distribution within the lab, and installation of 2,000 8’ equipment racks, 4,900’ of 15” ladder rack and 4,500’ of fiber runner. Within the lab we installed and terminated 384 Single Mode fibers, 6,769 Multi Mode fibers, and 240 Cat6 Cables. Copyright © 2019 Premiere Communications & Consulting. All rights reserved. Website designed by Addicott Web.